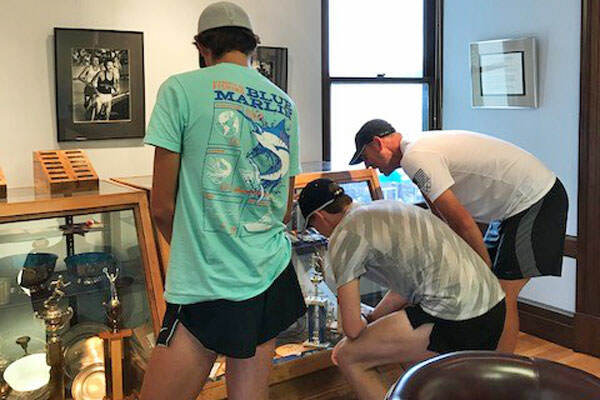 Runners around the world know the name Prefontaine — it belongs to the record-setting American athlete who inspired a generation of runners in the 1970s. On accolades alone, Steve “Pre” Prefontaine was a legend: he won 119 of 151 outdoor track races, earned six national collegiate distance titles during his time at the University of Oregon, set 15 American middle- and long-distance running records and competed in the 1972 Olympic Games. Though the Oregon native died tragically in car accident in 1975 at just 24 years old, Pre’s legacy lives on in Oregon. 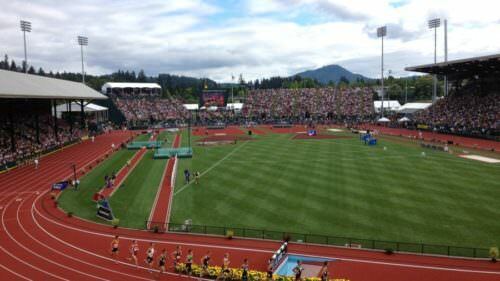 The Prefontaine Classic, held every May at the University of Oregon, is considered the nation’s premier track and field event. Pre’s Trail, also in Eugene, showcases the vision of Prefontaine with a 4.07-mile car-free running path through Alton Baker Park. 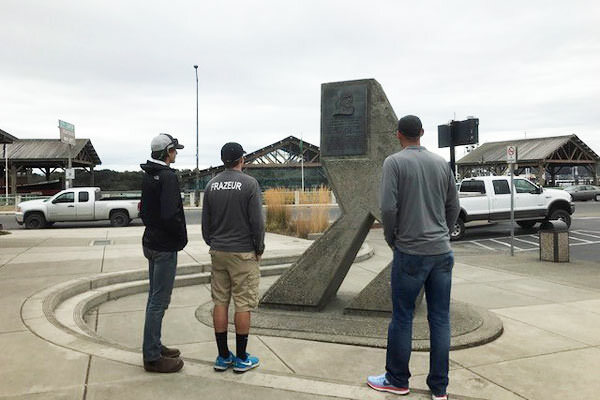 The Prefontaine Run honors the legend every September with a race through his hometown, Coos Bay, on Oregon’s South Coast. For the ultimate tribute, fans can take the Tour de Pre, a guided journey through the greater Coos Bay area with his sister, Linda. Now in its second year, the tours are offered from May through October. Stops include locations from Pre’s childhood, his final resting place and the Prefontaine Gallery at the Coos Art Museum — all with Linda Prefontaine telling personal stories along the way. We chatted with Linda to learn more about this one-of-kind tour. What inspired you to start the Tour de Pre? 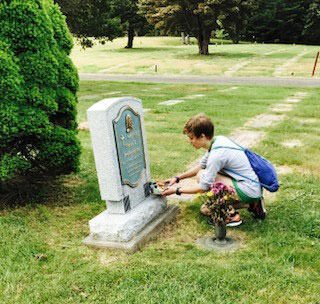 For many years, people from all over the world have come to Coos Bay to see where Steve ran, where he grew up and where he’s buried. Since I was moving to Coos Bay, I thought, why shouldn’t these places be shown by the person who was closest to him? I think my role is to keep his spirit alive. 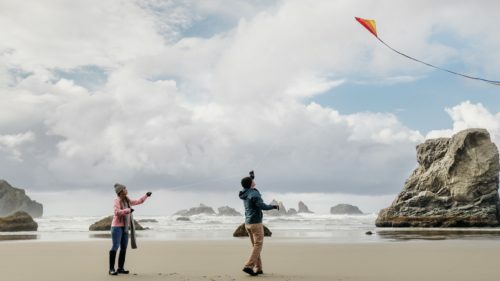 Plus it’s fun to show Coos Bay to newcomers — it’s beautiful here, and there are so many amazing outdoor things to do. I get to brag about my brother, as well as brag about this area. What can fans expect on a tour? Each tour can be customized, but they typically last about six hours. The van holds four people, so it’s a personal tour. I don’t want to talk at people; I want to have conversations with them. We go by the family home that my dad built, then walk to the track just a couple blocks away, where they can run laps on the same track that Steve did. Everyone gets Tour de Pre bracelet, decked in the colors of Marshfield High School. Afterwards we’ll explore Coos Bay, such as the downtown headway mural and the Coos History Museum, where Steve is featured. We have lunch at The Portside Restaurant or Miller’s at the Cove, both in Charleston, and then visit Steve’s grave in the cemetery. But some people don’t like going to the cemetery, and we can skip that. If there’s time, we’ll visit Cape Arago State Park and the gardens at Shore Acres State Park. 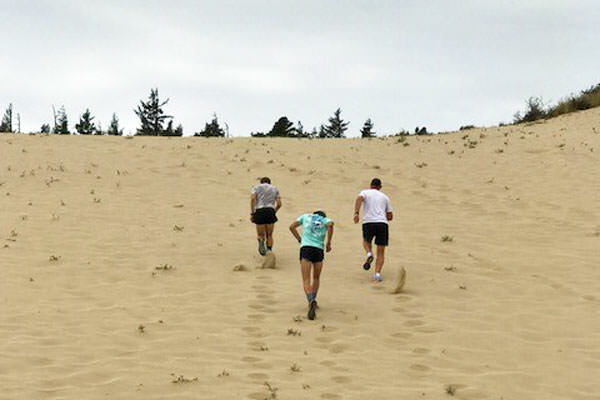 Athletes might race on the sand dune hills to the beach. Is it difficult to revisit these places and memories? The first Tour de Pre was with a young man and his moms. He had just lost his identical twin brother the year prior. We shared memories, and we cried and laughed all day long. Another time, a man who recently lost his sister took the tour, and it was his first time back at MHS since Steve’s funeral. With these tours, you know you’ve done something that it’s impactful. For me, it’s worth the discomfort. What is your hope for Tour de Pre? As the tour evolves, I hope to include a runner’s camp, where high schoolers can come and train with their coach. 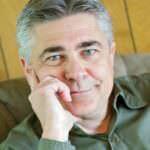 I also hope that some of the things that I’m doing will help the community; when visitors spend money, they help Coos Bay. 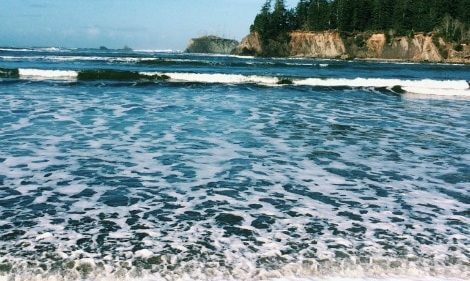 What is your favorite place in Coos County? Too many to choose just one! You have the ocean, rivers, sand dunes and lake — it’s an outdoor person’s dream to have so much access to play.